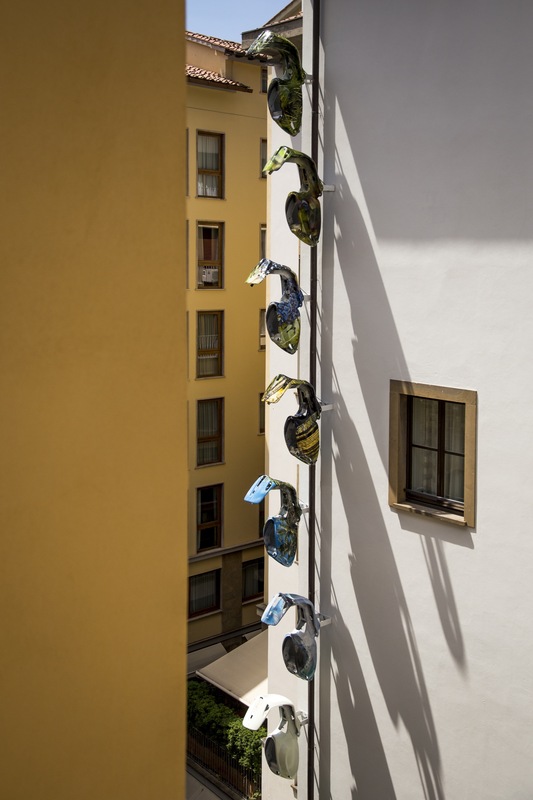 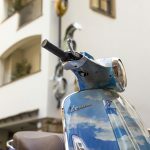 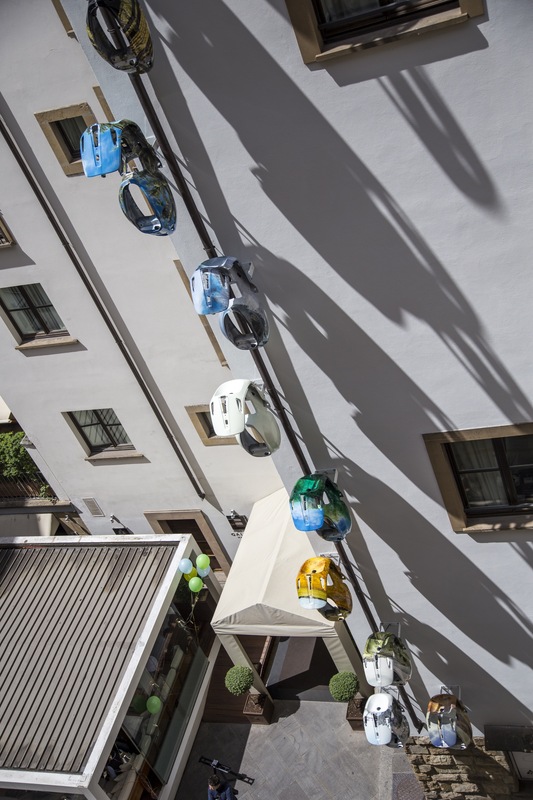 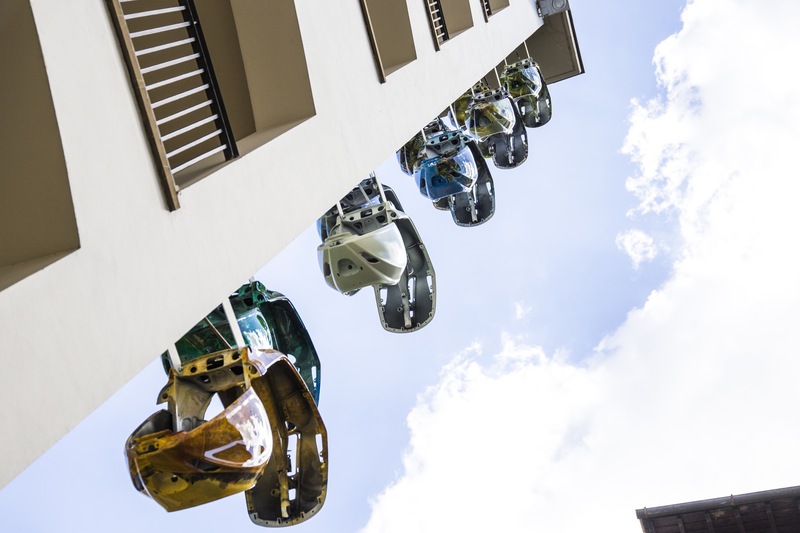 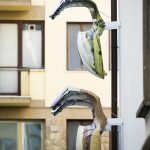 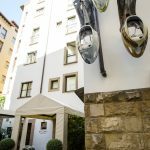 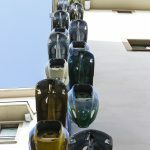 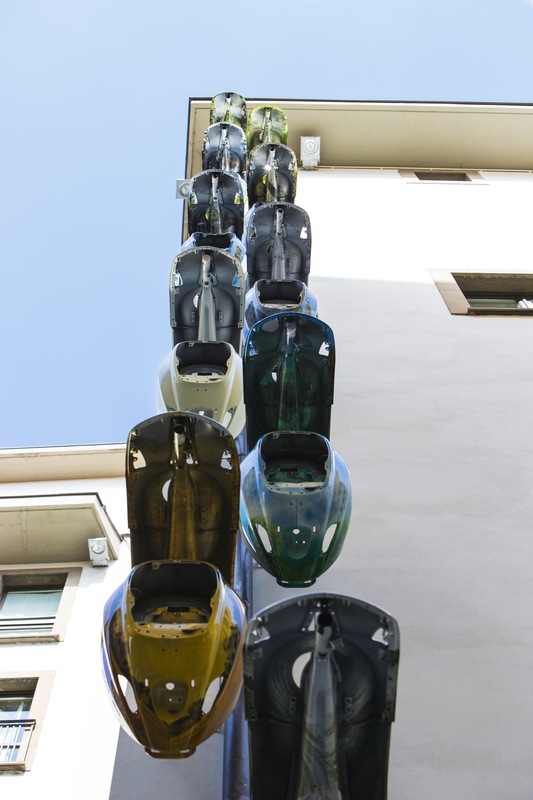 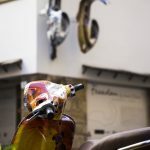 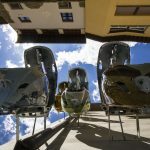 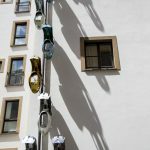 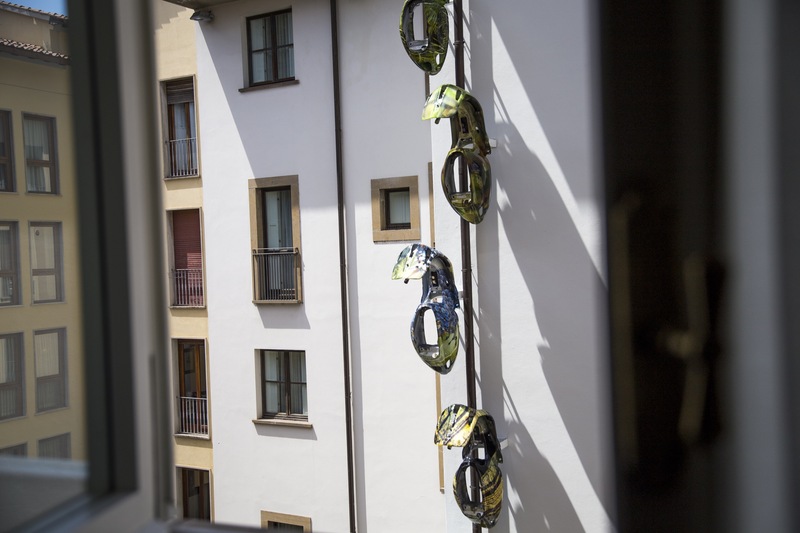 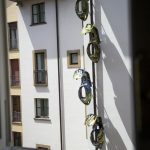 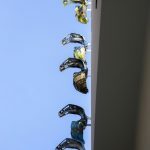 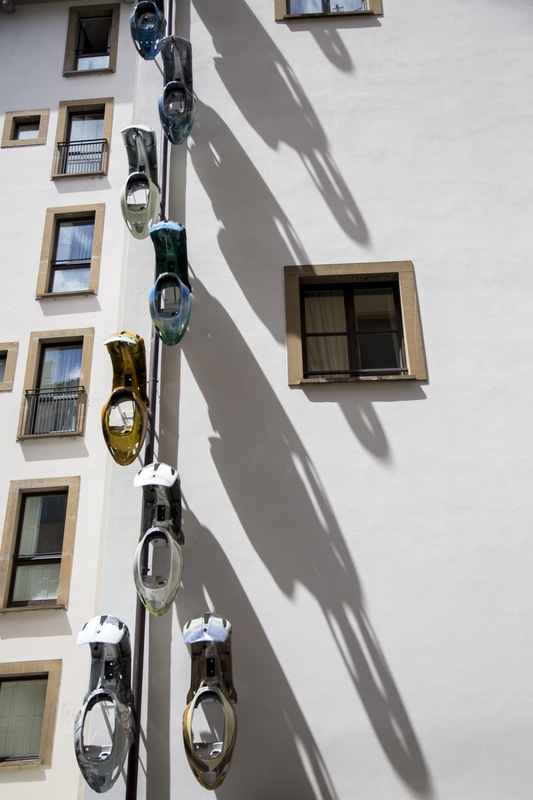 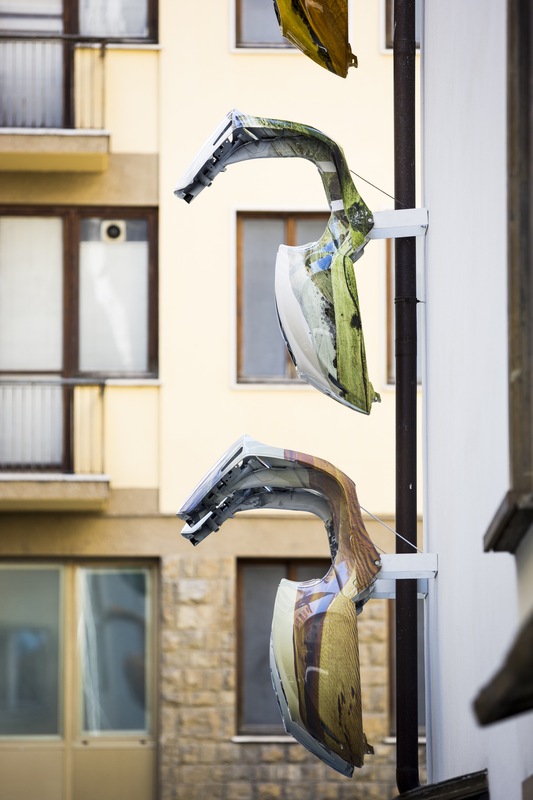 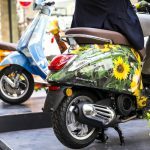 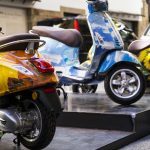 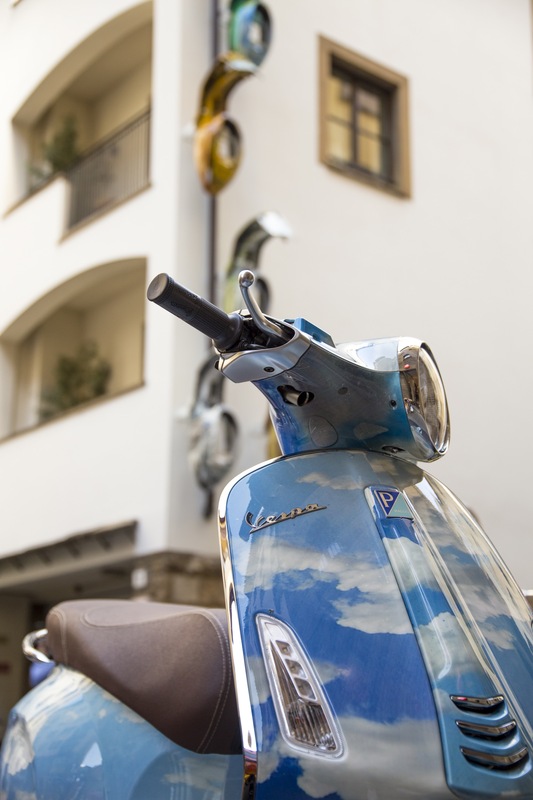 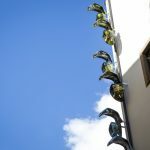 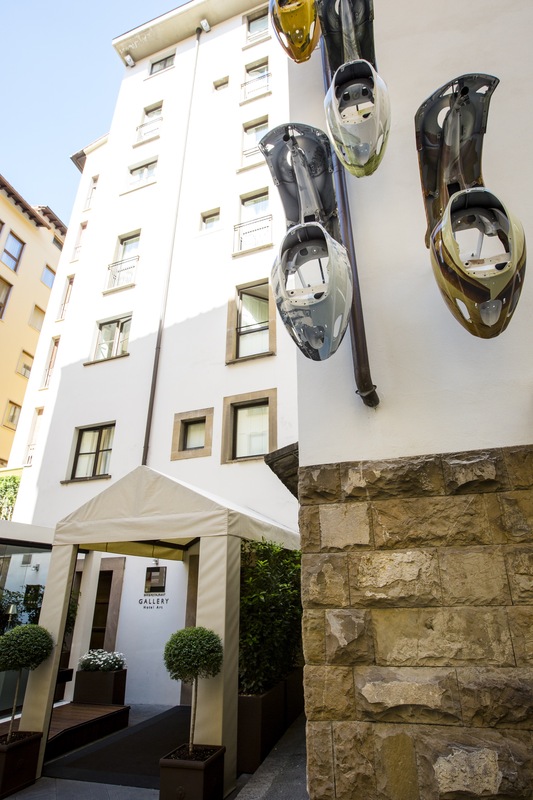 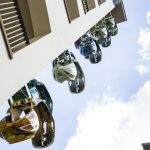 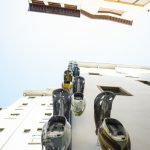 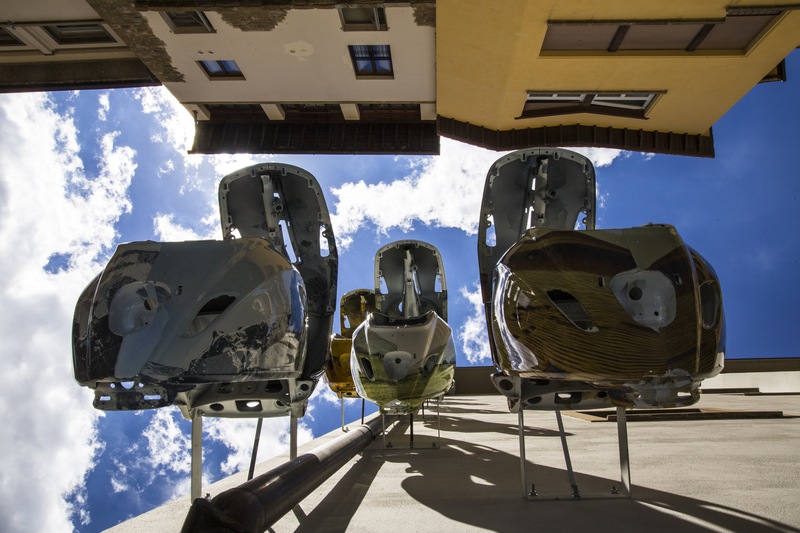 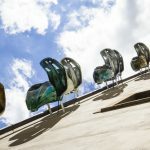 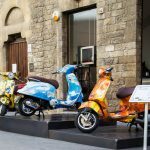 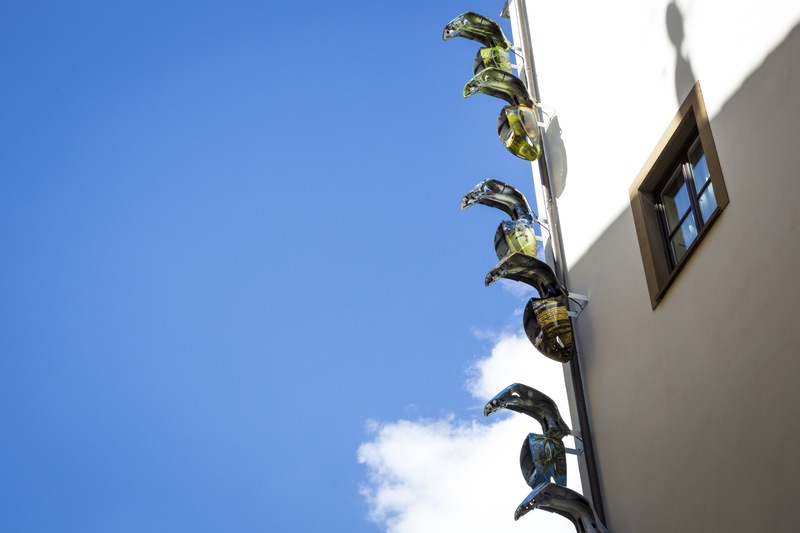 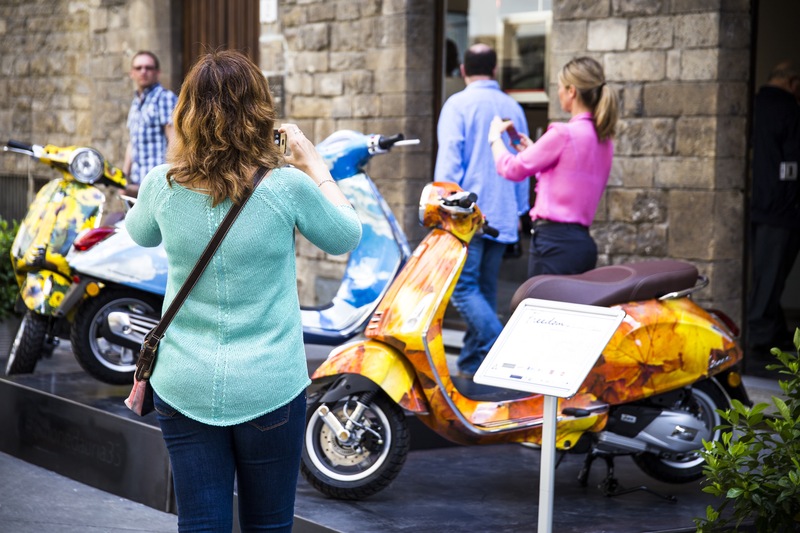 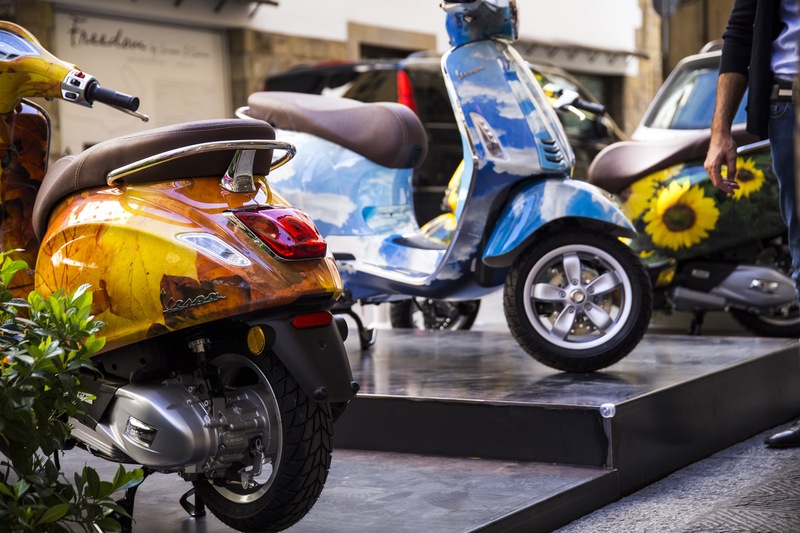 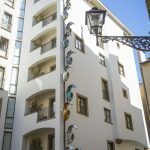 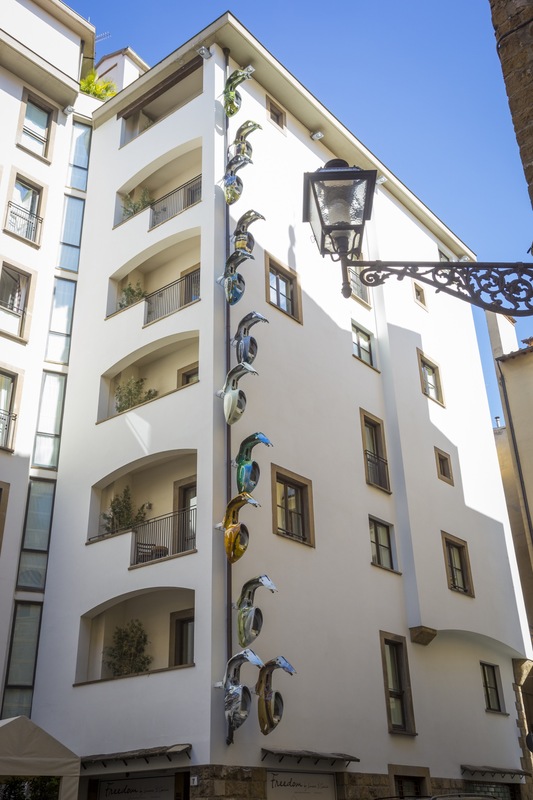 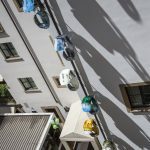 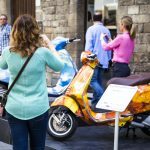 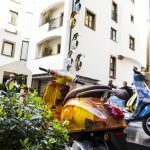 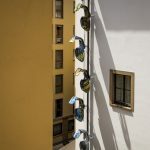 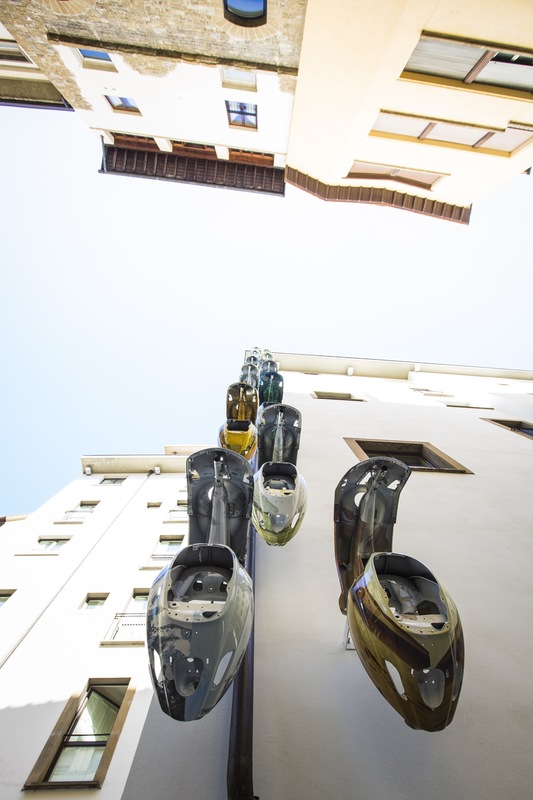 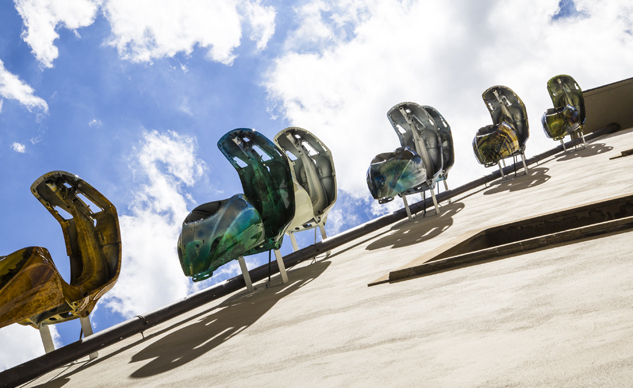 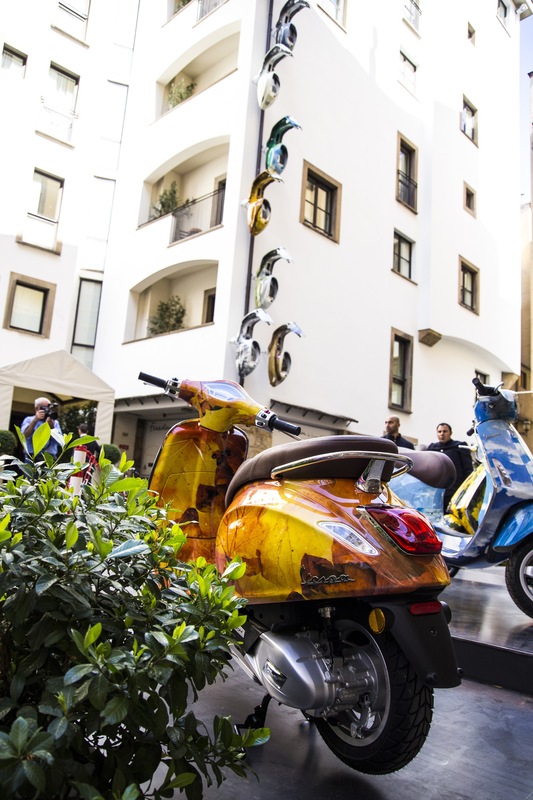 If you find yourself visiting Italy this year, be sure to stop in Florence to see a line of Vespas climbing the wall of the Gallery Hotel Art. 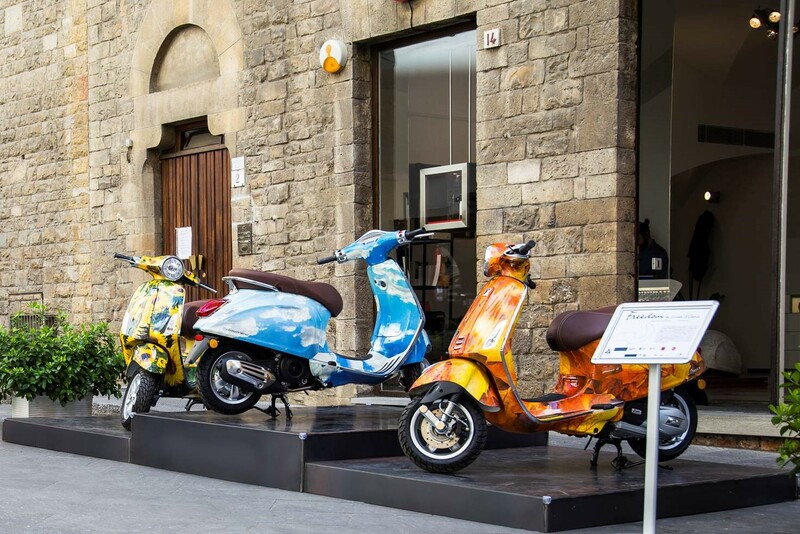 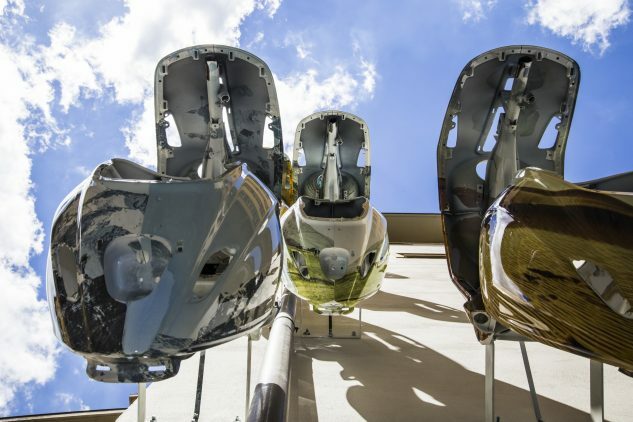 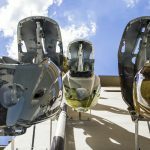 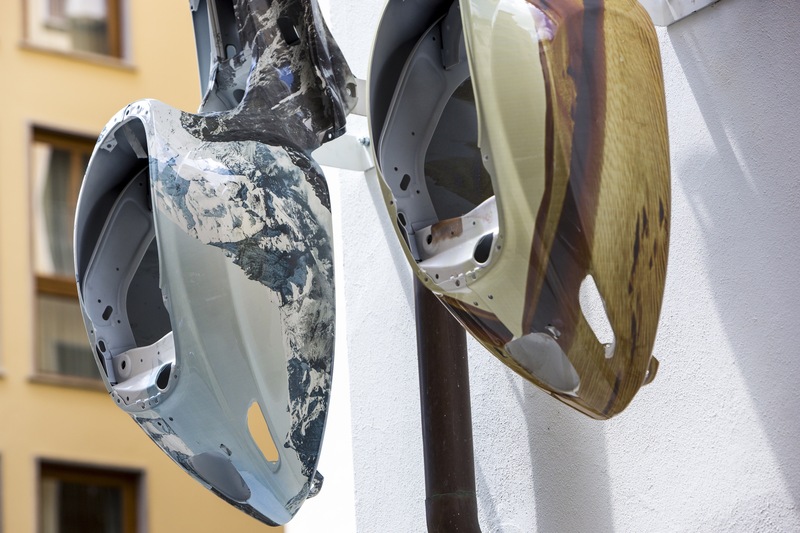 The dozen Vespa shells are joined by three other scooters on the ground, each carefully painted by artist Simone D’Auria in an exhibit titled “Freedom” as part of the broader Lungarno Collection art project. 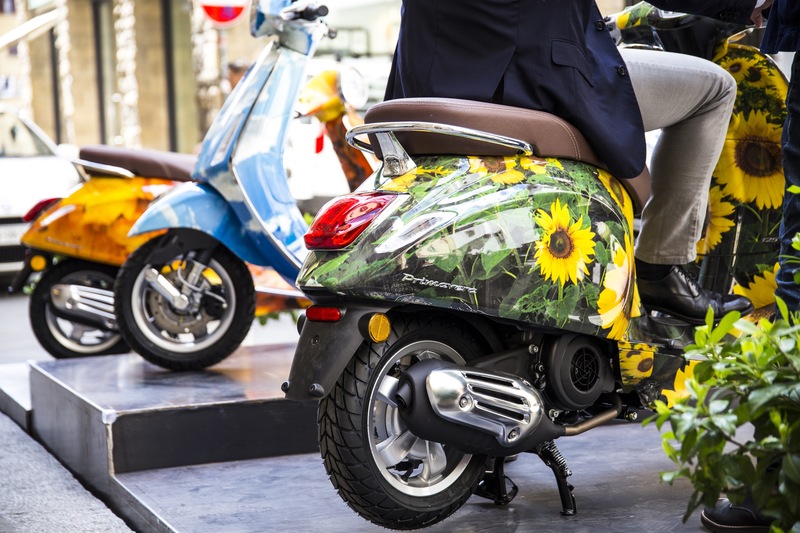 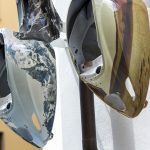 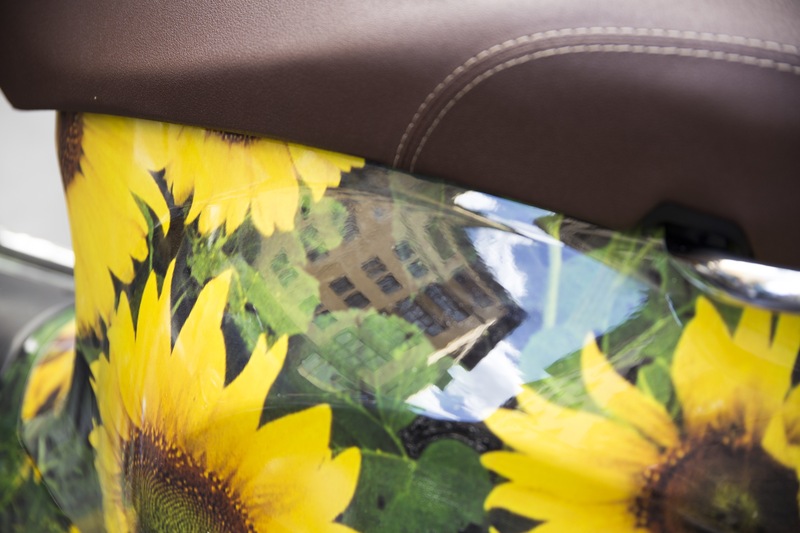 D’Auria painted each scooter’s body with a nature-themed livery using a water transfer printing technique. 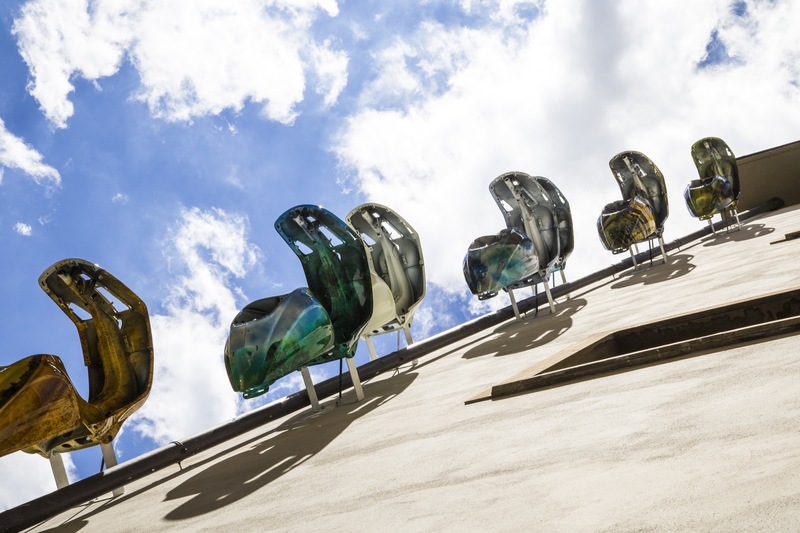 These include images of clouds, forests, mountains and deserts. 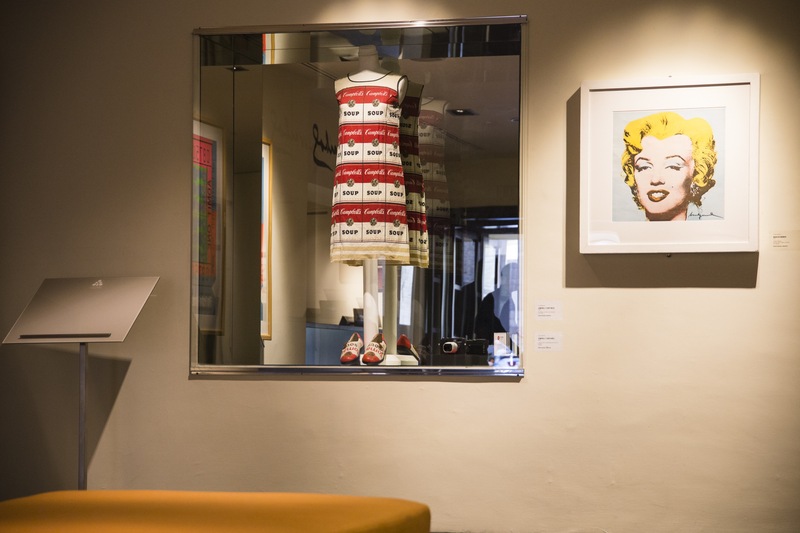 The Freedom display will also accompany an exhibit of 16 works from Andy Warhol inside the hotel. 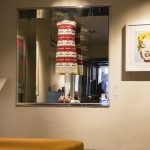 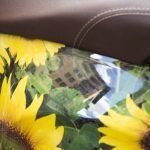 On loan from the Rosini Gutman Foundation, the exhibit includes two portraits of Marilyn Monroe and a dress patterned with Campbell’s soup cans. 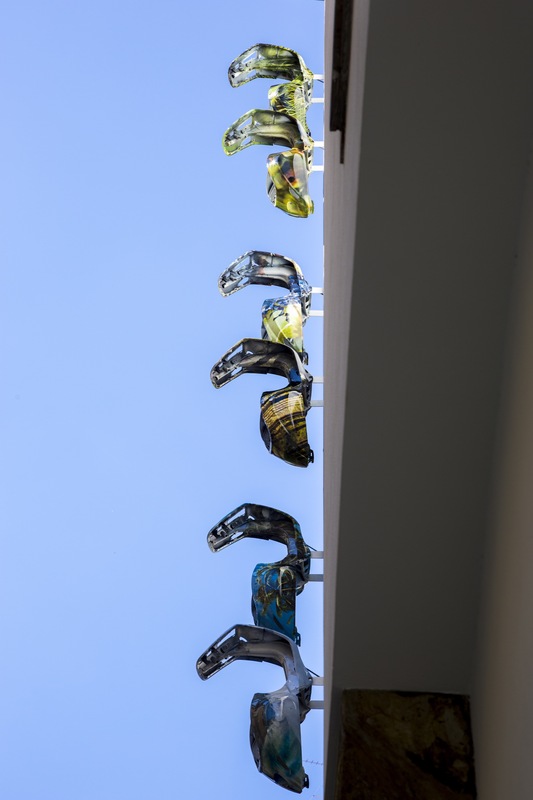 The Freedom display will be shown at the Gallery Hotel Art until Dec. 31.